The 52-year-old woman was pulled from the water by surfers and other bystanders but could not be revived. A 52-year-old woman has died after she was pulled from the ocean near Tofino, B.C., this weekend, according to police. 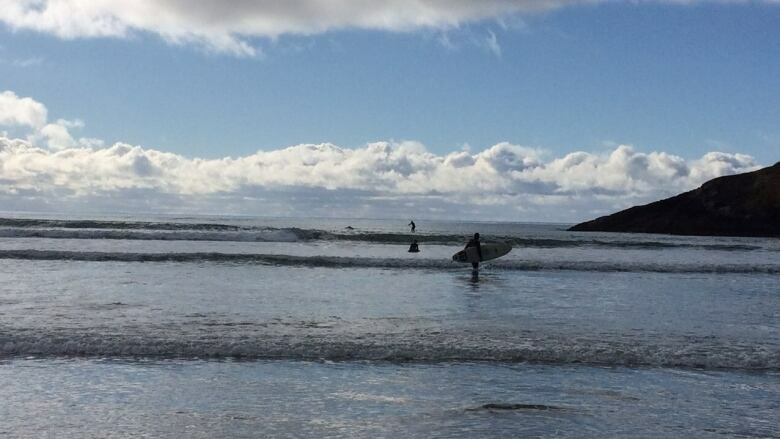 Surfers and other bystanders along Long Beach saw the woman in distress at about 10:30 a.m. Sunday and managed to get her out of the waves, according to RCMP Cpl. Stu Hert. They attempted first aid, but the woman died at the scene. Hert said the woman was a visitor to the area, and it's not clear how she came to be in the water. "People should be aware that all the beaches in the Tofino area are unsupervised and that ocean currents and waves can be unpredictable and present a number of hazards," Hert told CBC News. "Anyone who's hoping to take advantage of the recreational opportunities that we have in the area in the ocean, the onus is on them to be aware of those hazards and learn what the risks are so they can take action to mitigate those risks and avoid them when necessary."